Clinical characteristics of Parkinson´s disease (PD) are the result of the degeneration of the neurons of the substantia nigra pars compacta (SNpc). Several mechanisms are implicated in the degeneration of nigrostriatal neurons such as oxidative stress, mitochondrial dysfunction, protein misfolding, disturbances of dopamine (DA) metabolism and transport, neuroinflammation, and necrosis/apoptosis. The literature widely explores the neurotoxic models elicited by 1-methyl-4-phenyl-1,2,3,6-tetrahydropyridine (MPTP) and 6-hydroxydopamine (6-OHDA). Because of the models, it is known that basal ganglia, particularly substantia nigra, have been related to a diversity of functions, from motor to sleep regulation. Nevertheless, a current debate concerning the role of DA on the sleep–wake cycle is in progress. 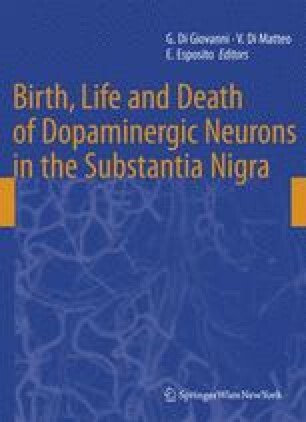 In summary, it is suggested that the dopaminergic system is implicated in the physiology of sleep, with particular regard to the influence of the SNpc neurons. The understanding of the functioning and connectivity of the SNpc neurons has become fundamental to discovering the neurobiology of these neurons. This work was supported by CAPES (PRODOC-Farmacologia UFSC to MMSL). MABFV is a recipient of CNPq fellowship.